Very often we look up to celebrities for the latest trends in clothes, cars, fashion. We feel to be on the safe side when buying something that celebrities. The same goes for celebrity baby carriers. Just like us, many celebrity moms are babywearers. 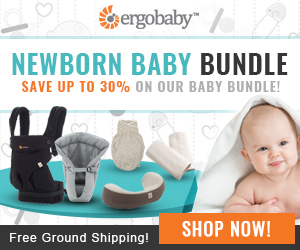 Check out which celebrity baby carrier brands are the most popular! 1. Look at that little bundle of joy Jennifer Connelly is carrying strapped to her chest. It seems easier to get through the “Labyrinth” of New York streets with the Boba Baby carrier. Her daughter Agnes (4 months old on the photo) seems to be comfortable enough in this carrier. 2. Brangelina duo have five kids, and when you have five kids two of whom are twins Knox and Vivienne – carrier is a life-saver, especially when you are travelling to Japan to promote your films. Bjorn Baby carrier does a fantastic job for the twins but the Pitts seem to not know that the arms go under the buckles not above. 3. 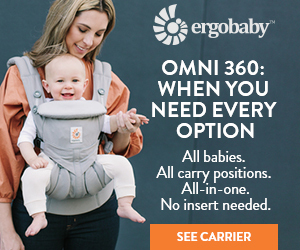 Ergobaby carrier seems to be one of the most popular carriers among celebrities and non-celebrities alike. No wonder. It is functional, healthy, lightweight. Here Julia Roberts taking a walk with her son Henry who is having a snug ride in an Ergobaby green carrier. We love! 4. Look at this fit mama. Sheryl Crow loves to keep fit and having 1-month-old Wyatt is no excuse to stay indoors and lay on the couch, all thanks to the Moby D wrap. As you can see, once you master the wrapping, babywearing become a breeze! 5. “You’re either in fashion, or you’re out”. Kate Hudson takes Heidi Klum’s words seriously and travels all dolled up wearing her toddler in a ring sling. We must admit, she looks gorgeous, but goodness gracious how does she manage to wear those heels slinging ‘not-so-light’ toddler? 6. Stars seem to be fond of Serena & Lily’s Market Sling. They sure look very stylish with these attractive prints. Just look how laid-back and at ease Nicole Kidman and Jennifer Meyer slinging their babies. Although to us it looks more like they are carrying bags rather than baby. 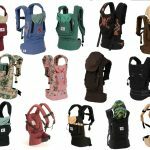 Another point ‘against’ a sling like that: according to SlingLady these kinds of ‘pouch’ carriers actually pose danger to baby’s life as they do not provide proper airflow. So if you are on the market looking for something ‘good’ for your baby, look elsewhere. 7. And how could we leave out celebrity babyweaing dads? Celebrity baby carrier dads love wearing their precious bundles even more than mommies. Just look how comfortable dad Cam Gigandet looks while carrying his daughter Everleigh Ray in a pouch carrier by Canadian brand Little Stars.